As we drove into the town of Estes Park we fell absolutely in love. surrounded by mountains, cool weather, and the smell of pines around you. 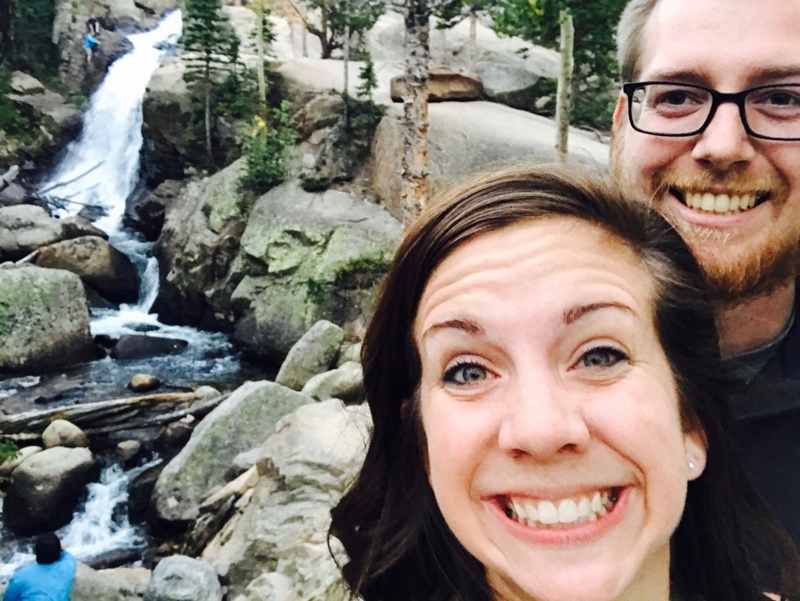 Estes park was one of our favorite spots on our recent Colorado trip. 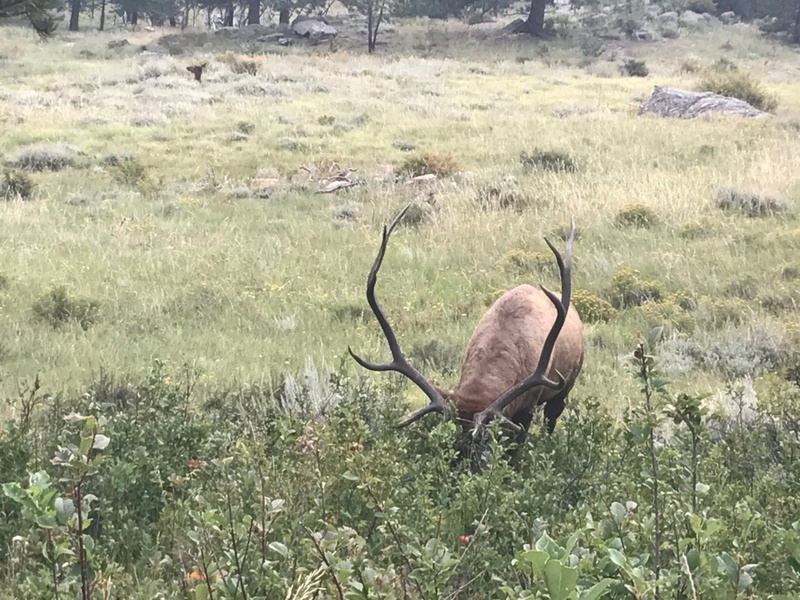 We decided our Labor day weekend is now reserved for a Colorado trip and Estes park will make its way onto our trip itinerary again and again. 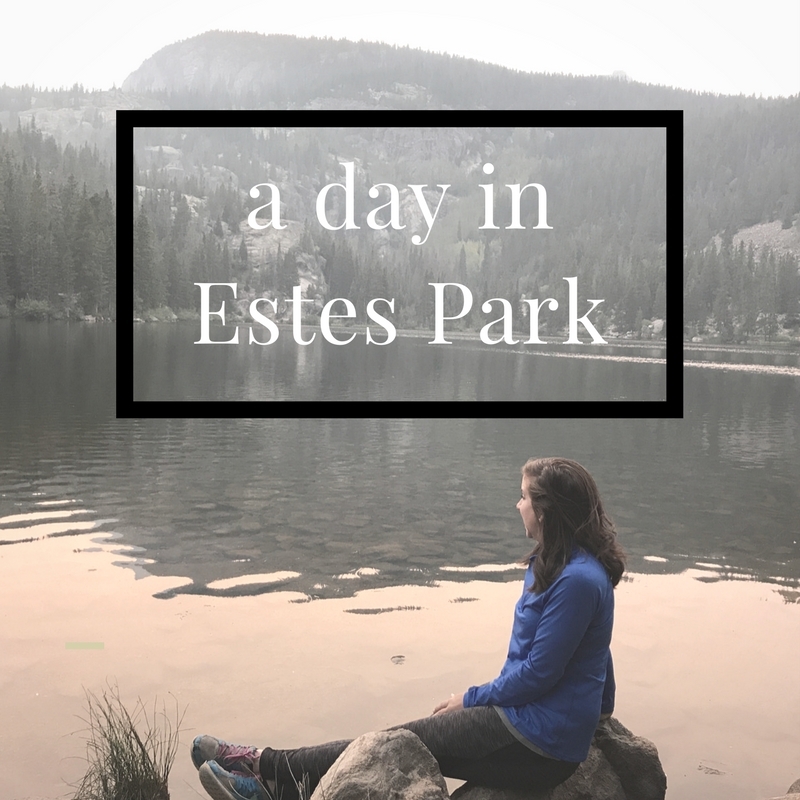 We spent a day in Estes Park and we truly did not want to leave. Our first stop on the way from Denver was to stop at The Buff Restaurant in Boulder which was a perfect start to our day and their iced coffee are as big as your face, hello sugar high. We drove on about forty minutes to Estes Park, nestled in the base of the Rocky Mountains. We stopped in at the Lake Estes Marina and rented a double Kayak for 25 dollars, worth it, so worth it. When you get to the Marina it looks small, but it was amazing seeing the Rockies from a different perspective. We kayaked for a little over an hour and it was just the right amount of time. While sitting there amongst all of the beauty a hawk swoops down right in front of us, grabs a fish, and flys away…..you could not have experienced that from a car!! It was one of those moments you capture in your mind and never forget. We definitely recommend it. You can rent stand up paddle boards, pontoon boats, paddle boats, and more. As we left the Marina we drove right by miles of tents and we instantly got excited, tents usually signify something creative. We stopped by and it was indeed a little art fair in the downtown of Estes Park, I may have done a little hop and a skip towards this greatness. There was so much to offer, but ultimately we ended up walking away with gorgeous handmade pottery. Our next adventure was to follow the road to Rocky Mountain National Park. Umm, yes, yes please! We decided to continue to follow the road all the way to the Alpine Visitors Center. Hello one of the most gorgeous drives in America, Trail Ridge Road is a must, even if you go halfway(Alpine Visitors Center) and turn around. There were amazing lookouts and at the Alpine Visitors Center there is even a little restaurant. Before you go make sure Trail Ridge Road is open, during winter months it usually closes down because it becomes unsafe to drive on. On our way back down we saw about 10 Elk, one of which was a male bugling because it was the middle of their rutting season. We continued down the road and by the time we reached where we had begun we saw 40+ Elk, it was amazing! At the beginning of the day we told ourselves that we would only drive a little on Trail Ridge Road then go do a couple of hikes, two hours later we realized Trail Ridge Road was worth skipping a couple of hikes. Us being the hikers we are, we knew we still had to get some kind of hike in. We ventured to Bear Lake which was barely a hike, but it was gorgeous and extremely serene. Then we did a quick run/stop for oxygen/please carry me to Alberta Falls because it was getting dark and our preference is not to be in the pitched black with Elk and Bears. Alberta Falls was gorgeous and definitely worth the hike. We purchased the day pass for Rocky Mountain National Park for 20 dollars, but if you purchased the 7 day pass it was 30 dollars and if you bought the National Park Pass it was 80 dollars(lifetime for Senior Citizens), just to give you an idea where you can find discounts. Our trip to Estes Park came to a close the best way we knew how……BBQ. We stopped by Smokin Daves BBQ and it was one of the best decisions we made all day. We got the ribs, sausage, jalapeno hushpuppies, and cornbread. I hope you realize the struggle it is to write this without my mouth watering, our favorite were the ribs, the hushpuppies, and we may hav e purchased an overabundance of their cornbread. After hiking and burning calories, this is the best way to gain all of those calories back and it was absolutely worth it. Estes Park and Rocky Mountain National Park was my favorite day trip away from Denver. You can purchase extremely cheap tickest to Denver(80 dollars roundtrip) and take a day trip or two, or five to Estes Park! Here is to Unravelling this life we live, one moment at a Thyme. Great information. Lake Estes sounds amazing. I love going kayaking and at $25 that’s a bargain! Looks like a beautiful place to relax. I’ve such great things about Colorado that this is another one to add tot he list. 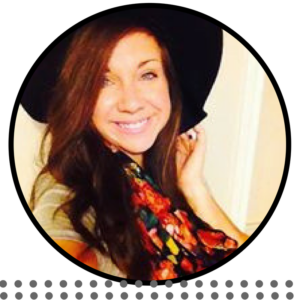 First of all, I love the name of your blog! Second, I’ve always wanted to visit a national park. It sounds like you guys had a blast and were able to take in the beautiful scenery! I’m trying to make my way out west [I’m on the east coast] and see some national parks soon! I think it would be fun! Looks like an amazing outdoor adventure..and those antlers..wow! Id love to see that guy in up close..saw some like him in Banff National Park this summer! Love the photos! Looks like a breath of fresh air out of the city. Thanks for sharing. I’ve never heard of this place, so thanks for letting me into this beautiful wild life haven. I’ve always wanted to visit Colorado, but the cities. Maybe I should consider this park.